Gsxr 600 triple tree and swing arm swap. Hows everybody doin - jus joined this group 2day...Im new to motorcycles n i recently purchased an 82 kz305b csr. bought as a project bike, i will turn this into a beautiful beast for these TX streets. currently i am trying to take out carbs to clean as well as rejett but i am having trouble. I stripped tha screws accidentally on purpose cuz im young, hungry n ambitious. if anybody can show me tha wayz, it will b more than greatly appreciated. Excuse my ignorance in advance as i am a baby in this game. Ill b on stand by waiting impatiently, onegaishimasu! Well first you have to remove the carbs before removing the carb holders from the cylinder head. 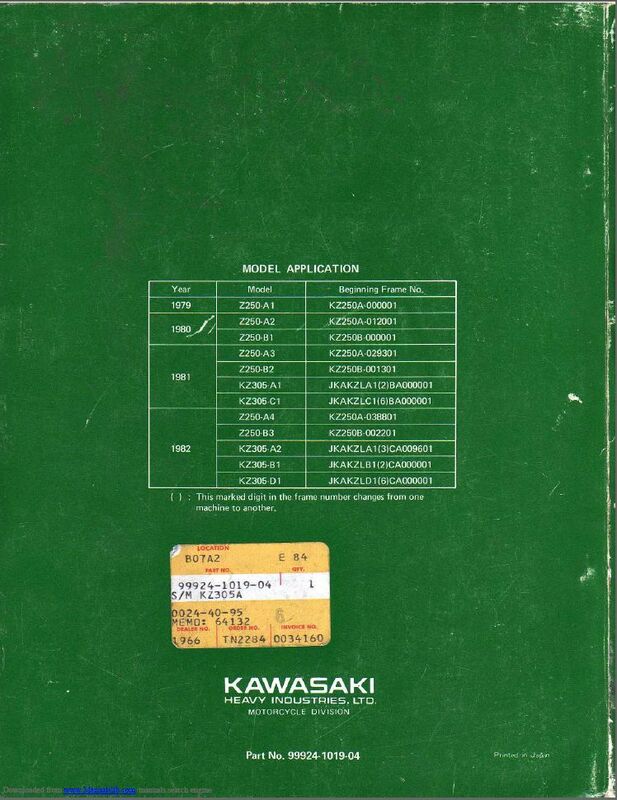 Make yourself a favor and find the kawasaki service manual that describes the procedure of removing the carbs. have manual - tried pulling carbs out from rear but they were stuck in place where entire bike was being pulled. tried wd40, degreaser, screw extractor to give sum way but to no avail. any other suggestions? Try to remove the rubbers between the carbs and the air filter box, or try to pull them into the box. Then you should be able to pull back the carbs from the carb boots. If the airbox ducts are hard, you'll have to warm them up with a heat gun or something to soften them. Another option is to cut them out, but the 305 ducts are NLA, in which case you'd have to find a good duct on EB or make one from radiator hose or something. Keep in mind that the airbox plastic is old and can be brittle & easily broken. After removing the airbox ducts, then loosen the carb holder clamps until they are floppy loose. If you don't loosen those clamps enough, the carbs won't come out. don't ask how I know. doh. I've never worked on a 305 but typically you need to first unbolt the airbox from the frame and then pull it backwards as far as it will go. That provides a little room to wrestle the carbs off. Regarding removal of Phillips head screws, you need an impact driver. The screws are actually JIS head type but a #3 Phillips bit fits just fine. If you don't have access to swing a hammer at the impact then your options are more limited. 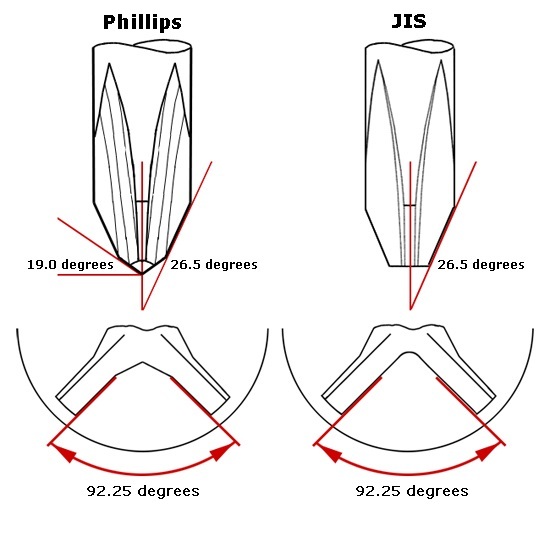 If you have a sharp chisel you can put the edge on the perimeter of the screw, say at 3 o'clock, and then wack the chisel straight down thus cracking the screw loose in the CCW direction. Obviously you need for the chisel to bite into the screw for this to be effective. It looks to me like you tried to take the carb boots off. They remain on the engine when removing the carbs. The carbs will be difficult to remove because they are between the air box and the manifold. You need to loosen off the bands on the intake and exhaust side of the carbs. I don't know that bike well but instead of bands on the intake side you may have springs that can be slid back. Once the bands are removed, push down on the carbs to get them out of the carb boots. If they won't move then try to loosen up the air intake box to give you some wiggle room. Once off the boots you should slide the carbs to the right and remove the cables. Then pull them out the right side. When replacing them you should put a little grease on the inside of the carb boots to help slip them into place. Heating as Martin say will properly help also. 1981 KZ650-D4, with 1981 z750L engine (Wiensco 810 big bore). also bought a crock pot off 5miles ($8-s/o eric in arlington) to compete with ultrasonic cleaner. My solution is estimated 50/50 distilled water-pine sol mix. good job on both. difference between both machines is ultrasonic has vibrating mechanism, but both are heated. After first nite of cleaning carbs in ultrasonic - it cleaned 95% of gunk, grease, oxidization, dirt, grime, filth . disclaimer: should wear safety glasses/respirator when opening lid to crockpot/ultrasonic cleaner as tha vapors from tha formula can cause damage if u inhale it. I am on morning after 2nd nite of cleaning carbs + screws, bolts, nuts, washers + brake cover + air filter + exhaust pipe connector + other parts.Going to take out parts, brush them off, rinse with warm water, and dry asap (flash rust prevention). Will try to keep u updated n thank u for ur insight every1. Stuck on trying to take out engine, chassis, n belt. Couldn’t find manual for CSR B. Does anybody kno steps as well as tools I need to do this? Thank u Ed, but i had already taken out necessary screws. 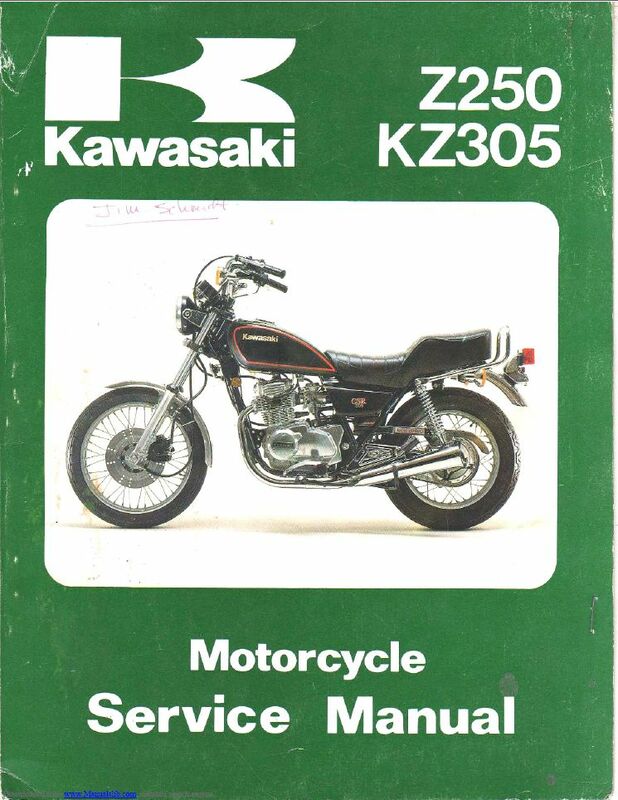 Idk y pics didnt load but i am trying to take out engine now - only problem is there is no manual for taking out 1982 kawasaki kz305 CSR Belt. Still, if somebody has any knowledge onthis specific model, I am asking for ur guidance. As always, onegaishimasu. Give me some time to upload the manual, i will edit my post later with the download link. KAZE wrote: Thank u Ed, but i had already taken out necessary screws. Idk y pics didnt load but i am trying to take out engine now - only problem is there is no manual for taking out 1982 kawasaki kz305 CSR Belt. Still, if somebody has any knowledge onthis specific model, I am asking for ur guidance. As always, onegaishimasu. Ed, apologies. I am confusing u w. Siccoco. Might b cuz I’m on my phone but I only c supplement chart n wiring diagram for z305B. Towards end of manual (pgs. 298 n on). Index is missing last pgs as well. I printed physical copies but am also missing few pgs. Once again lookin on phone at work rn. Will check laptop in AM.